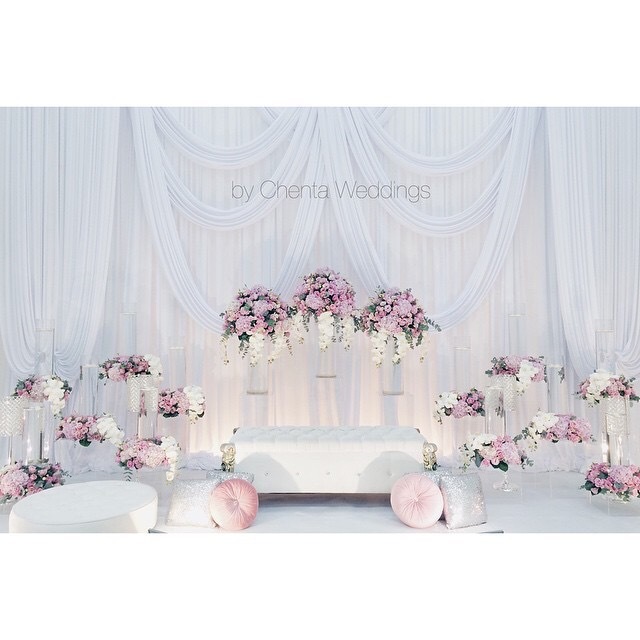 So here I am again fussing about wedding decor. 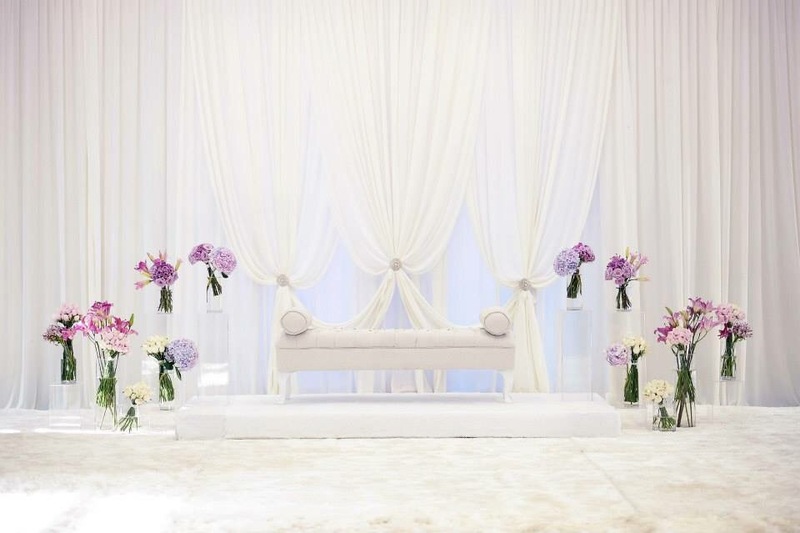 Is it me, or am I the only one who thinks too much about wedding decor? I mean, it’s just a one day event, how important can decor be? I wish I could tell myself to just stop bothering with the decor but I cannot. 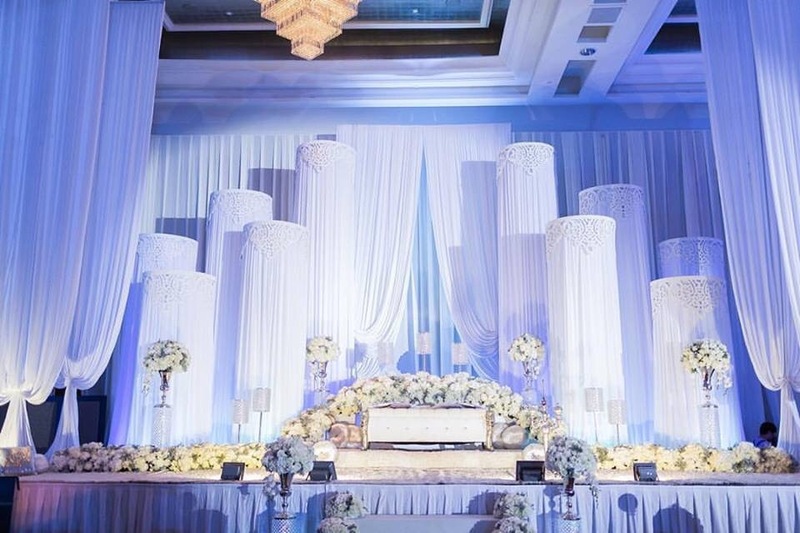 I keep looking at the photos of wedding decor and keep changing my mind. It doesn’t help that I’m very fickle-minded too! 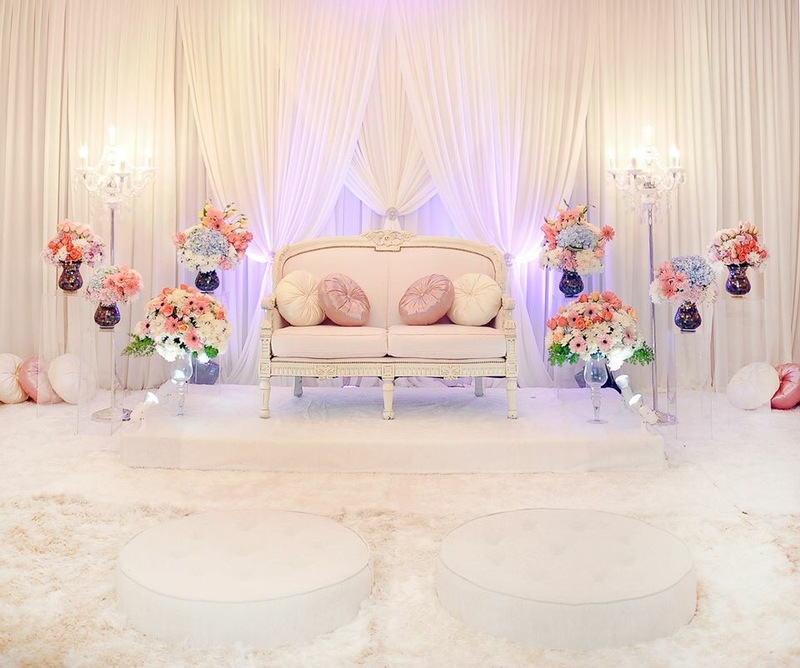 In any case, I have further shortlisted the wedding decor vendor from my earlier shortlisted vendors for wedding decor. They are: A.nggun Decor and C.omelmolek! I chose them on the basis of beautiful drapes (duh! ), fresh flowers and the ability to bring out elegance in simplicity. Oh and also because they have one of the nicest open concept dais. This is especially important for CCs wedding, I feel. It’s such a waste to not make use of all the empty space on the stage and it bothers me a lot when the pelamin doesn’t fill up the stage. 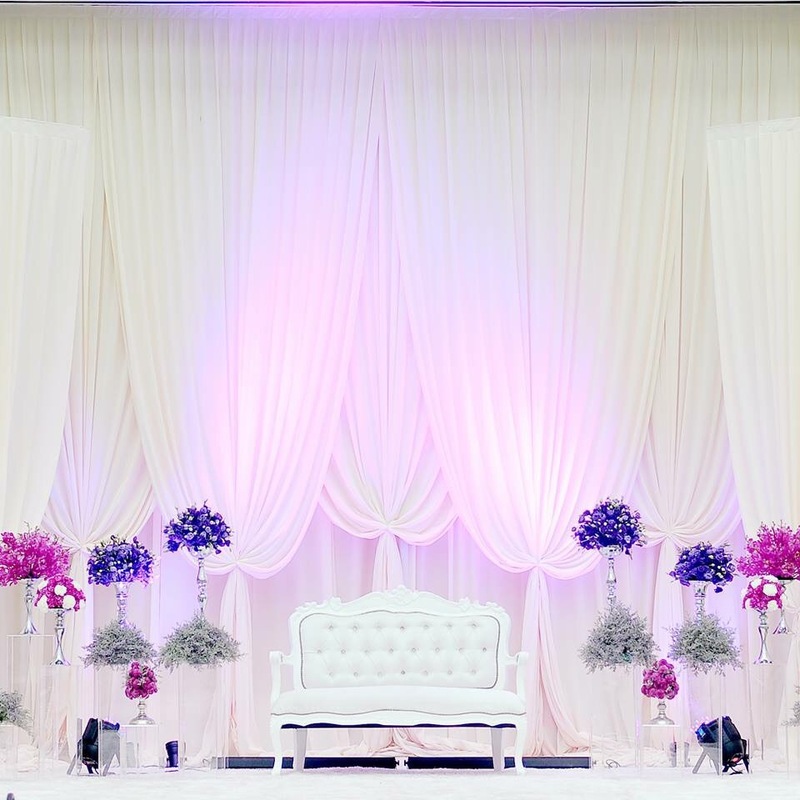 I requested a picture for an open concept dais from one of the vendors I mentioned here. Let’s just say I wasn’t pleased with what I saw. 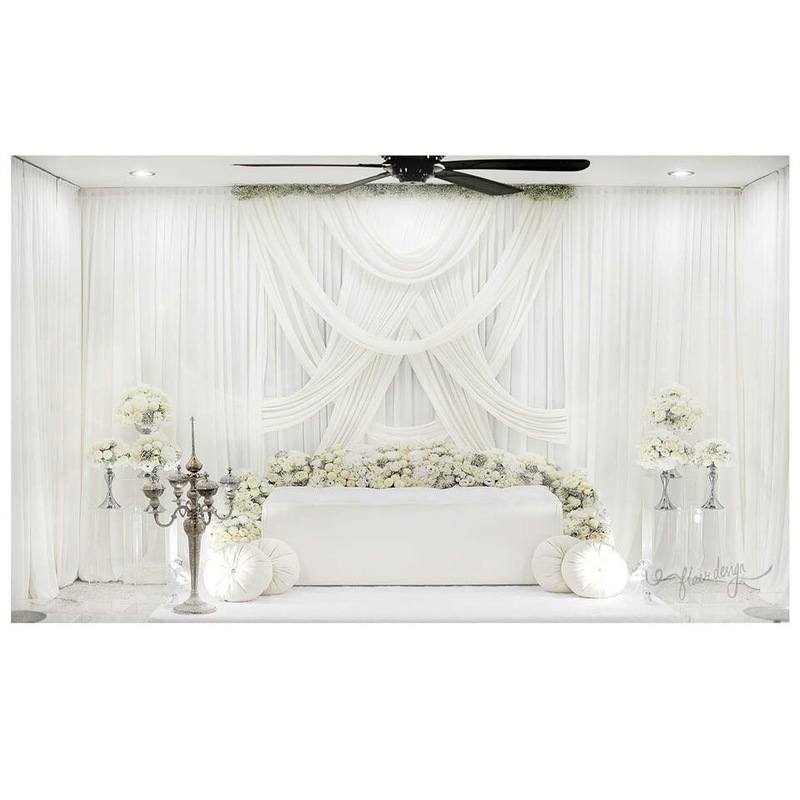 I guess I just want a simple, clean and elegant look involving drapes and fresh flowers. 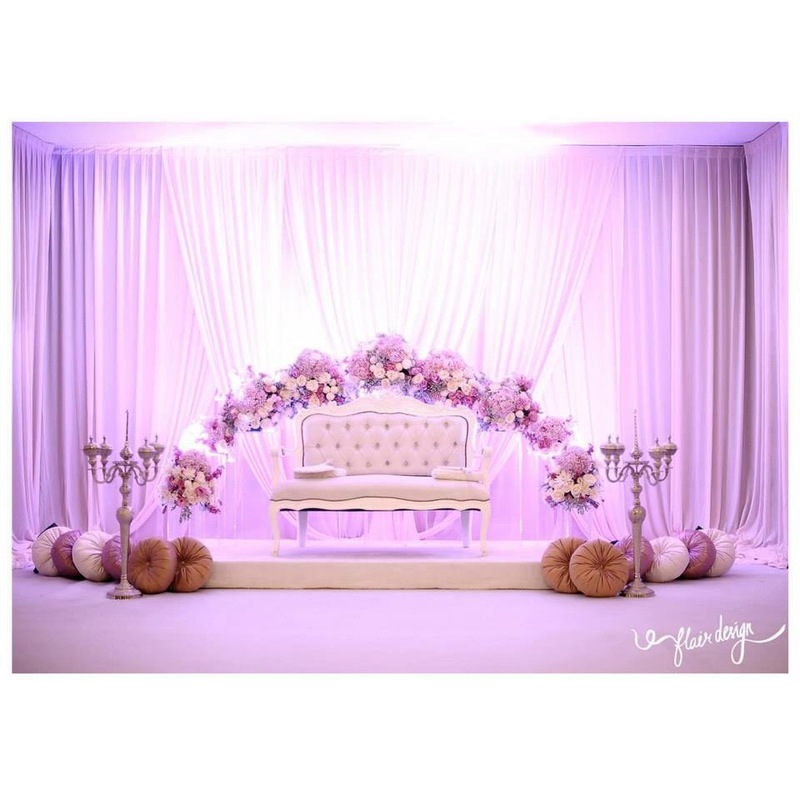 Let me share some photos from Malaysian weddings which I really love. Hehe. 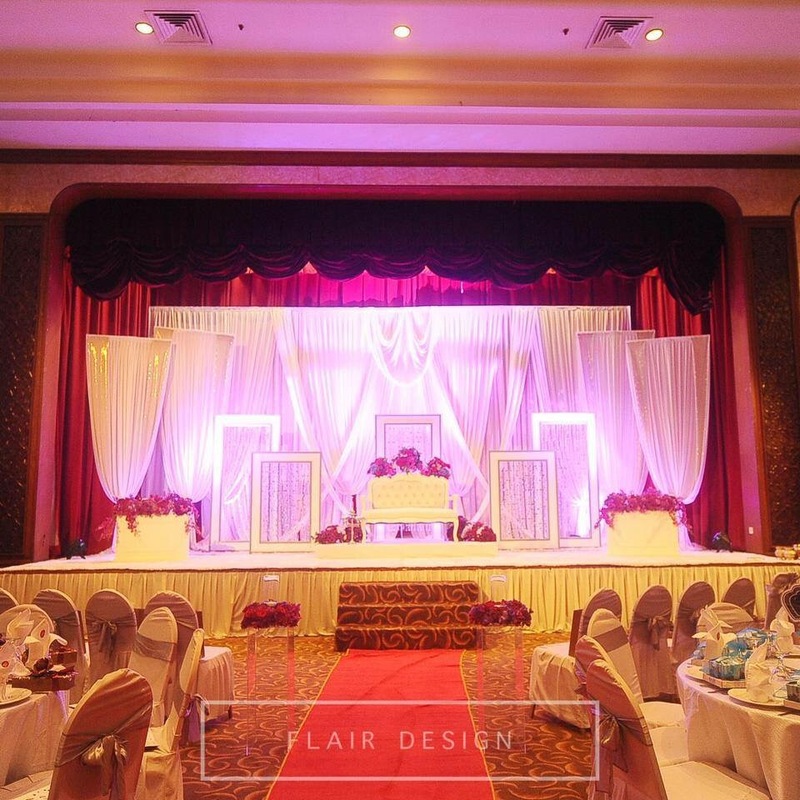 They are mostly by Flair Designs and Chenta Weddings. No surprises, of course. Hehe. This is my personal favourite! But it’s not practical for huge group shots.